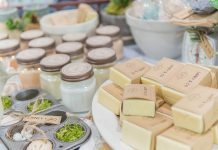 Home Soap How to store handmade soap properly? 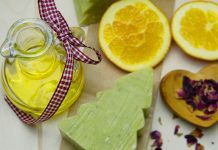 Handmade soap is a unique cosmetic product that has a beneficial effect on the skin due to the content of natural oils, plant extracts, honey, milk, oat flakes, dried flowers and other useful components. In case of improper storage of soap, it may lose its attractive appearance and value. To avoid this, one needs to follow simple rules. 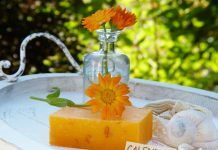 – The handmade soap should be placed in a dry dark place, protected from direct sunlight. – While using the product, it needs to be put in a dry soap dish so that it won’t soften. It is advisable to start using handmade soap immediately after its unwrapping. The use of a cosmetic product in the recommended time will allow you to fully enjoy its aroma and get the most out of the natural ingredients. Next articleHandmade Soap mask is a real find for face care.